So much to do, so many places to fish! That’s what I love about the Northwest. 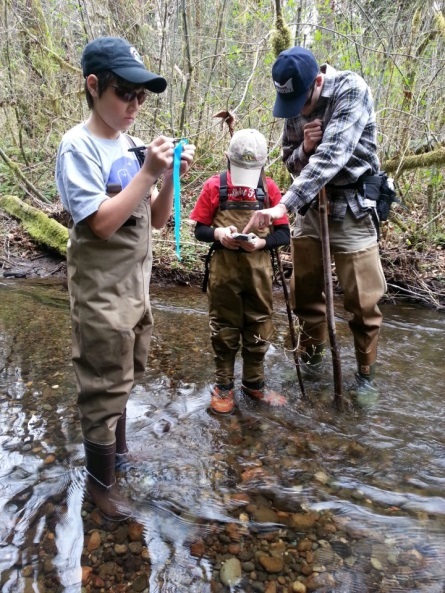 Not only do our lakes and streams start to warm, the South Sound really kicks into gear. But wait, there’s more! Let’s not forget about the coast. Just about an hour’s drive west of here we open up another option to pursue more great game species. Specifically, I’m talking about rockfish and lingcod. I recently was invited to an outing on the coast targeting these species and had a blast. I don’t pretend to be an expert at this sort of fishing what so ever, I would however like to share with you the fly that I found successful. I call it the Mega GF. I have written about the “guide fly” before, as I regularly use it in the sound for cutthroat. The unique feature on these flies is the monster cone on the front that creates turbulence and wiggles the fur strip behind it. 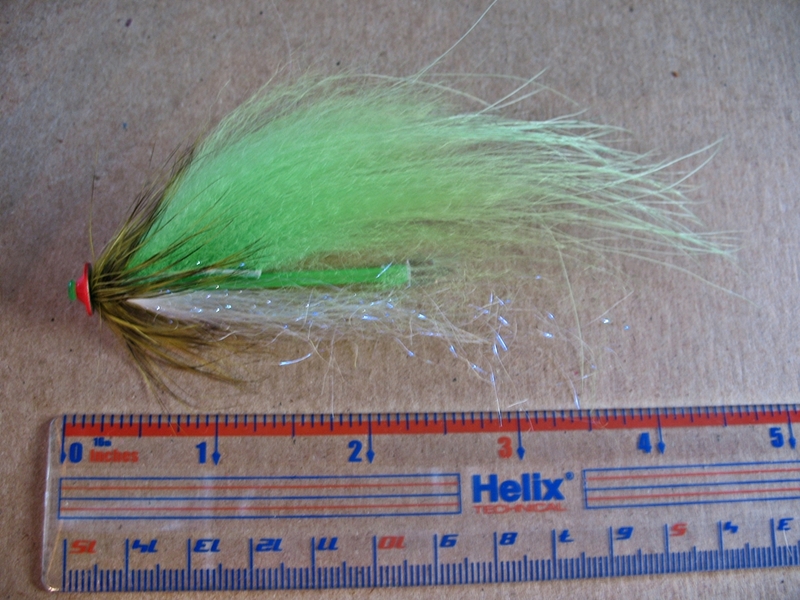 When I tie these for the South Sound, I generally keep these flies around 1.5 to 2 inches long and use rabbit zonker strips which are much thinner than Finn Raccoon. Also, the original GF doesn’t have any underbelly. My Mega GF is tied with an underbelly and Finnish Raccoon. This helps bulk up the profile without adding a ton of material. 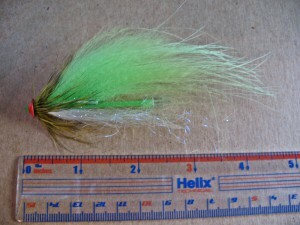 The Finn Raccoon fibers are so long you can tie a 5 inch fly with only a 1 inch piece of hide. I think 5 inches is probably the max length for the medium sized monster cone, any larger and it may be too small. I fished this with an outbound type 8 sinking line with a count down and retrieve strategy. Tie these in a variety of colors. I had great luck with a white wing and red hackle.